For many kids, starting a new school year means starting new sports and activities that can lead to potential ankle injuries. A common ligament injury that happens to children during games or on the playground is a rolled ankle. A rolled ankle (also referred to as a sprained or twisted ankle) happens when an individual makes a rapid shifting movement while their foot is firmly planted, causing a stretch or tear in the ankle joint ligament. 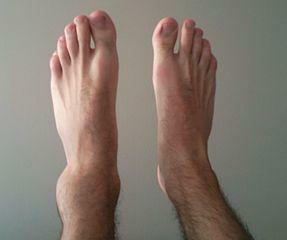 A sprained ankle causes pain at the site of the ligament tear and will begin to swell soon after the sprain occurs. Although most individuals are able to walk on a mild sprain, a more serious sprain will destabilize the ankle and make it hard to walk. This is because serious sprains result in stretched or torn ligaments on the outer side of the foot. A rolled ankle also causes bruising, stiffness, and tenderness, especially when weight is put on the foot or ankle. If you think your child has a rolled ankle, it is important to take him or her to a healthcare provider immediately, as sprains are difficult to differentiate from a fracture without an X-ray. If a medical professional determines that it is in fact a sprain, he or she will classify the sprain as a grade I, II, or III sprain and recommend appropriate care. Although grade I and grade II sprains require the same care, it is important to note that grade II sprains usually require more time to heal. If your child comes home from school with an injury that you think may be a rolled ankle, visit FastMed Urgent Care immediately. Our healthcare professionals will examine your child’s ankle and recommend treatment that is appropriate for his or her specific injury. With our onsite X-ray machines, we can quickly determine if the ankle is rolled or broken. 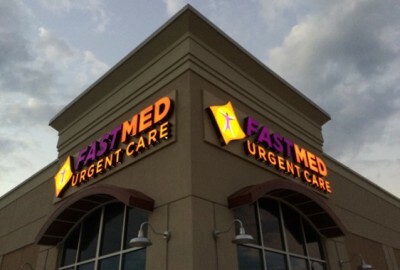 Find FastMed Urgent Care in your neighborhood and get rolled ankle treatment that is fast, friendly, and affordable. But don’t just take our word for it! Check out what Deborah had to say in this video about her experience at FastMed.